Game theory offers some interesting lessons for crypto investors. 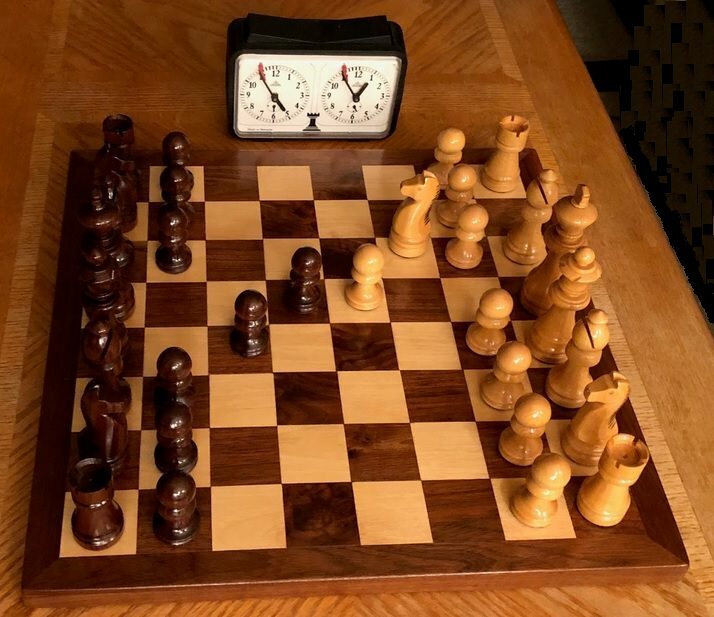 If you are a fan of games of strategy like Chess, Go, or other board games, chances are that you would be proficient at spotting some incredible potential investments in the crypto space. Chess is very structured, with specific win-lose-draw rules that appeal to competitive strategists. 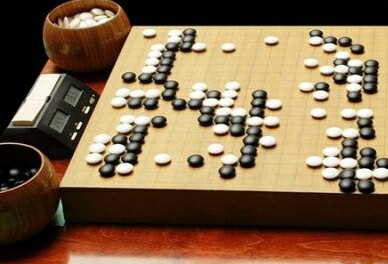 By contrast, Go is a very popular strategy game in the East, and it emphasizes gaining territory, and involves an entirely different approach. These games help to develop similar analytical skills that are needed to evaluate opportunities and risks in the crypto market. Reading my blogs, you’ve probably already concluded that I do not believe Bitcoin can beat XRP as an investment. And you’d be correct. The same goes for Ethereum; So how did I reach this conclusion using my own analytical thought process? When Bitcoin was first created, it was meant to be a currency, a decentralized mode of exchange with no central authority. Respect should always be given to Bitcoin for being the ‘first’ decentralized currency, however, that does not mean it is the best. In fact, throughout the history of innovation, it’s usually the first version of technology that ‘gets it wrong’. Think about the Model T, or better yet analog telephones. Are either of these used to any great extent compared to their more modern cousins? Do we still use Blackberry personal organizers? Before ink-jet printers, dot-matrix printers could be found in many electronic stores packaged with computers during sales. Do you see a lot of dot-matrix printers any more? The same is true of Bitcoin. In addition to the problem of mining centralization, Bitcoin is incredibly slow and possesses completely inadequate throughput to support scaling of transactions. It takes approximately one hour to confirm a transaction with six blocks, and Bitcoin can only process six transactions per second. As if those problems weren’t bad enough, in late 2017, the average fees charged by miners to include a transaction in a block climbed to $55 per transaction. 2 That means you’d spend $58 for a three-dollar latte at Starbucks if you paid with Bitcoin. The situation declined so precipitously that the annual Bitcoin conference stated that they would no longer be accepting...Bitcoin! Since that embarassing episode, those same average fees have now declined to approximately $4 dollars, but you get the point; it is uneconomical to use Bitcoin for ordinary transactions. All of these problems have now prompted Bitcoin miners and other stakeholders to try and proclaim Bitcoin as a ‘store of value.’ But what good is a store of value that cannot be easily traded or used? The Bitcoin maximalist community has not yet given up on their ‘model T’ however; now they’ve layered another technology on top of Bitcoin, making the cryptocurrency even more inconvenient to implement and use for new developers; the Lightning network. The lightning network is what’s known as a ‘second layer’ protocol.3 Lightning is not specific to Bitcoin, and is a completely separate network. 4 It has shown its vulnerability to issues like DDOS attacks, problems with fraud (which prompted design revisions), and vulnerability to ‘channel dropping’ that leads to immediate settlement on the underlying blockchain. 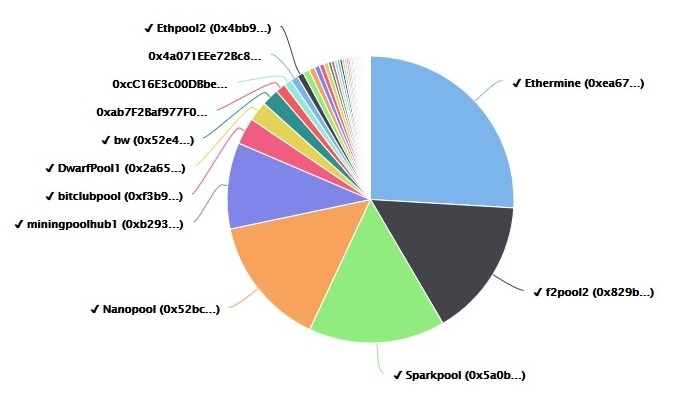 The entire adoption of the Lightning network is also dependent on adoption of Segwit, which has also been a divisive issue in the Bitcoin community. But you won’t hear Bitcoin maximalists or Lightning network proponents tell you about these issues. I don’t see much upside in Bitcoin. It is now coasting on its existing trade volume and ownership by large investors. The miners who are earning Bitcoin will predictably continue to support it. While Bitcoin deserves credit for being the ‘first’ decentralized cryptocurrency, Ethereum deserves credit for its reputation as an unparalleled innovation in its own right: A blockchain that can execute smart contracts and decentralized applications. But it, too, suffers from scalability issues. This ability to create custom tokens is what eventually drove the demand for the Ethereum blockchain and its native digital asset, Ether. Vitalik Buterin has promised that Ethereum will transition to a ‘proof-of-stake’ method of transaction validation at some point in the future to address its scalability issues. 14 So is the potential of a faster POS-based Ethereum network a significant-enough upside to propel Ethereum to new heights in the crypto market? No. The ability to process smart contracts in its current fashion is not nearly enough to reserve a significant future share of future real-world business use cases. Why do I make this claim? One reason is that there is a lot of competition incoming from other new crypto networks that can process smart contracts. EOS, Qtum, TEZOS, TRX, NEO, and other networks stand waiting on the wings for their opportunity to lure developers. Some of those networks are very much designed in the same vein as Ethereum – only much faster. However, the most important reason Ethereum will struggle is its flawed design. Smart contracts in Ethereum are tied to the Ethreum blockchain, and hence are restricted by its limitations. Ethereum also requires developers to use only one programming language - a scripting language called Solidity. So what is the smart contract application that is not limited by its connection to a cryptocurrency network? Codius. Its settlement time is under four seconds, compared to Ethereum’s two-minute wait time, and Bitcoin’s full hour. The smart contract program that integrates with XRP is an external platform known as Codius. Codius can integrate with any cryptocurrency network - and any ledger that supports the Interledger Protocol, or ILP for short. This offers a significant advantage above Ethereum. Each of these is quite large, but the largest known one is the first – Ripple use cases. Ripple specializes in numerous tools and applications for banks and financial institutions. They have three main solutions, and one of them is specifically geared for helping banks and remittance processors source liquidity for transitioning one fiat currency to another while making a cross-border payment. Ripple’s tools are primarily based on ILP, because their strategy is to enable their clients to settle in any currency, not to force them to use a specific digital asset. 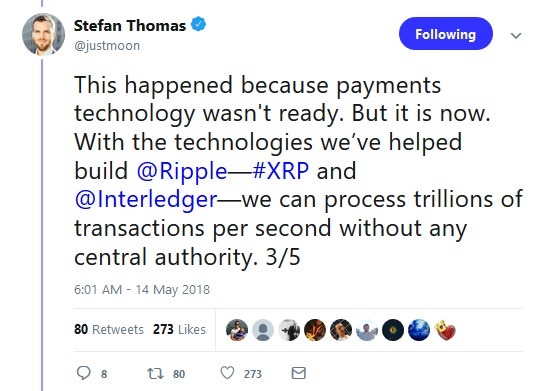 However, XRP is the best fit for these use cases, and Ripple has indicated that xRapid is ideally suited for XRP. Coil is a new company that was founded by Stefan Thomas, Ripple’s former Chief Technology Officer. He and a handful of other leaders are aiming to champion a new international standard known as “web monetization.” 20 21 This standard’s goal is to allow ease of integration between a browser and automated micropayments. When this new standard is completed, Coil will look to accelerate and champion new applications that can operate with this web monetization standard. Currently, services like Facebook are advertised as ‘free’ but the real cost is the sale of your personal data to advertisers and other stakeholders to provide a revenue stream for the companies involved. Coil’s efforts could change all that. Its revenue model could make more content-rich sites like Wikipedia available to world-wide users, while avoiding invasive and distracting advertising - or prompts for donations. A Codius host can earn money via their hosting of others’ distributed applications and smart contracts. Sometimes when I say “XRP Community,” readers visualize individuals or small companies, but keep in mind the target audience for Codius: It was positioned to provide maximum capability and flexibility for large financial companies. The ability to build a smart contract that can settle on any ledger that contains an ILP connector truly sparks the imagination. When investors compare the top crypto networks to try and evaluate both the downside (risk) and the upside (opportunity), they should remember some of these key strengths and weaknesses. 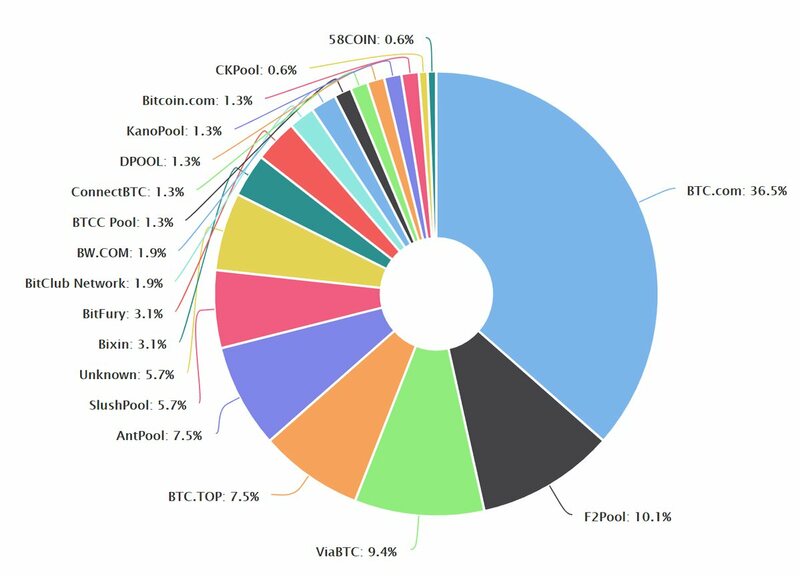 It’s not enough to look at the existing volume of a network on Coinmarketcap and think there’s any convincing reason for a network’s market valuation; you have to look deeper into the entire picture to develop a sound understanding of its future potential. This quote, updated for the current age, is definitely something to consider, even in the volatile and high-risk world of crypto markets.